Help Save Orphans in Africa! Please join us for a family oriented service event to help save orphan lives in Africa! Songea's Kids is an all volunteer nonprofit based in Sammamish. We provide food, clothing, safe shelter, health care and education to orphans and vulnerable children in one of the most impoverished areas of Tanzania. One of the greatest needs of our kids and their caretakers is basic, over the counter medicines. Come solo or bring your family and friends with a donation of medication(s) that we can bring to Tanzania to help make a difference in the lives of these kids! We will have an activity for all age groups: Adults and teens can help sort and pack donations. 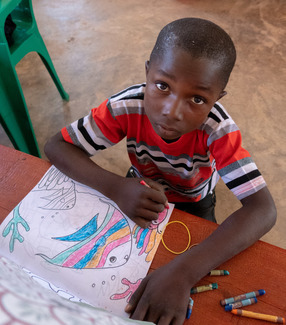 Teens and children can write letters and/or draw pictures for delivery to the 52 children we support. All can take part in a family walk in the Sammamish Commons (weather permitting). And at 12 noon, we will be serving lunch. To learn more about Songea's Kids, please visit our website at: www.songeaskids.org.